You may have seen images of cats who go sailing with their human or heard about blogging couples who seem to effortlessly move around the world with their felines. 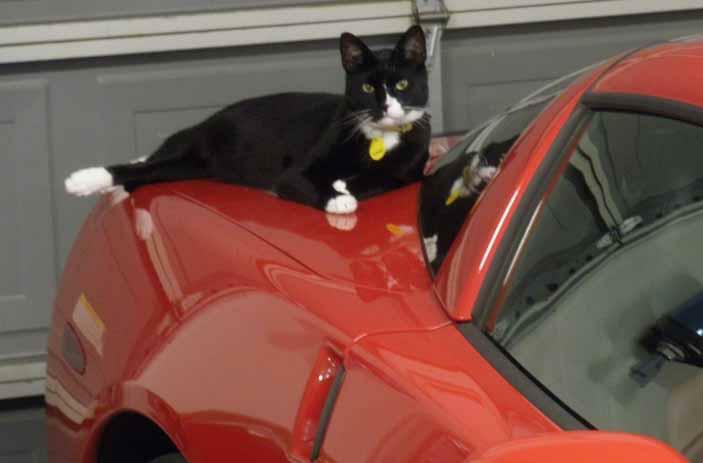 But most of us live with indoor cats who would sooner pass on a fresh trout dinner than step one paw into a car. Looking at the possibility of a future cross-country move ourselves, I have been researching and weighing the options. I’ve collected quite a few real-world stories, tips and resources and I want to share them with you, should you find yourself in a similar predicament. While I’ve looked into the option of plane travel with cats, there are hesitations I have about it (another article for another time), so I’ve been focusing on road travel info and that’s what I’m sharing with you today! Transported her cats together in one large crate because they comfort each other (this may not always be the case with your cats). We are looking at the Pet Tube Car Kennel – a reader said this spacious tube, which takes up two seats, worked well for moving her two cats across country together. Apparently the handles and flat foam insert are sold separately, so keep that in mind. Put a small disposable Nature’s Miracle litter box (scent-neutralizing), a small hanging water cup, and a blanket (that smelled like home) in a large crate. Sprayed Feliway in the crate each morning before traveling. Put a towel over the crate so the cats felt cozy. Put a few drops of Rescue Remedy in their water each day. She said, “My cats came through with flying colors! And to think I was so worried! Several other cat lovers also mentioned Feliway helping with road travel and we plan to use it. The one caveat with Feliway is that, for some reason, it doesn’t work on every single cat, so one should try it at home first. Also, it helps to get your cats used to carriers and drives in the car that don’t end in a vet visit. Take some short, sweet trips around a block or two in the months before your trip. Reward with treats and kindness. If you haven’t gotten into crate/carrier training yet, you’ll want to watch this short sweet SPCA video on it. The video is for kittens, but it applies to all cats. Also, keep the crate out and about for several days, making it a cozy and enjoyable place. Melissa’s travelin’ cat family has had their best luck with La Quinta Inn and Days Inn, but especially La Quinta because you don’t have to stay in a smoking room and the rooms are clean. They require a pet deposit, but it’s reasonable. She says you’ll encounter other pet people there too, which can be fun. Several other cat lovers recommended La Quinta Inn as well. If you want to go a bit more upscale, you can enjoy a stay with your cat at pet-friendly Marriott Hotels. Official Pet Hotels is a great resource locating all kinds of pet-friendly hotels in the US and they have a UK site as well. There is also a handy list of Pet Friendly Hotel Chains here. Hotel tip: Scent is a key source of information for cats. One cat caretaker shared the tip of bringing a blanket or comforter from home to put on the bed in the hotel before you bring the cats in. 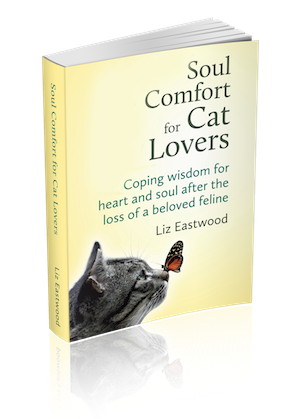 She said it helped her cats feel calmer in each new setting. When your cat emerges from his carrier timidly, the more smells of home he picks up, the better. A couple cat parents said that RV travel with cats worked well for them. One woman who moved five cats from the midwest to California said the cats were content to roam around the large RV they rented. While this appeals to me, I’m sure some will say that any travel without a carrier is risky. Here’s an intriguing article by a couple with a lot of experience and advice to offer on RV’ing with cats. DON’T use essential oils. While we humans love aromatherapy, and dogs may be ok with it too, essential oils are toxic cats – possibly through breathing, not just through ingestion. DON’T leave cats alone in parked vehicle. In the sun, cars are like greenhouses: within minutes, the temperature climbs to dangerously high levels. DO use a cat-safe collar with ID that includes your name and cell number on it. Also smart: include your home address, back-up telephone number, and even a temporary travel tag with contact info about where you can be reached while traveling. Because I know from experience that a cat’s collar can get caught on something and trap them dangerously, I look for collars like Elasta Cat that stretch if your cat is caught on something so they can back out of the collar if it’s being pulled. DO bring plenty of fresh water. You’ll want to refill the cat travel water bowl regularly as the water may spill or dry out quickly and hydration is essential to your cat’s health, especially during stressful transitions. Note that wet food helps them stay hydrated and dry food has the opposite effect. DO bring healthy-ish treats your cat likes. Rewards bring happiness. We like Halo Liv a Little’s treats because they are grain-free and have very simple, natural ingredients. When I say family, I don’t just mean you and your humans, I mean you and your feline family members too. It’s sad when people are not bonded enough to their animals to want to keep taking care of them even when they need to move. Ideally, adoption is forever, so I hope some of this cat transport info I’ve put together will make a move feel less daunting. It certainly has helped me. Aside the from the road travel part of the puzzle, if you are moving with cats, I’ve got good stuff on that here: Tips for Moving with Cats: Timeline + Checklist . If you have any of your own tips and stories, you know I want to hear them in the comments below! Wow i was looking for some tips like these and i found this article. Thanks a lot. I’m learning so much here! Thanks! I’ll be making a 15-hr trip with 5 cats in July. I really hate the thought of them being cooped up for so long, but I’m nervous about letting them out of their carriers during the trip. I’m afraid the moment I open the car door, they’ll bolt. So…is it cruel to leave them in their carriers for the entire 15 hrs? It seems to be the safest thing to do, but I don’t want to make what will already be a torturous trip for them even worse. Rescue Remedy, car window shades, treats are already in the plan. And the harp music is a great idea! Also, should I feed them at all during the trip? Or just snacks? Or nothing at all? Water? And I guess I should just put wee-wee- pads in the carriers and just change the pads if needed. We’ve been planning this move for a year now and it’s getting close and I am, by far, worried more about the cats than anything else. We’re not a cat lover but we hope these tips work well for other pets. Thank for sharing these tips. When my husband and I travel, we usually have one of us sit in the back seat with Gabby, and that does the trick. She used to be super nervous about travel, but having one of us with her eases it and manages to sleep through most trips. What a great idea, and how sweet. Thanks for sharing. Had a cat who was tolerant of travel and would use his carrier for naps at home when I would leave it out. I got so spoiled at travel with him and miss him so much since he crossed the Rainbow Bridge. Currently have two cats who HATE carriers, and cars and are quite vocal in their objections. That is, of course after locating them in the far corner under whatever they can find to hide under. It seems the sight of a suitcase is anathema to them both. Have had to travel with them several times and have an upcoming move to make. I do take a towel they have used for snoozing and “wipe” doorways, cabinets, and furniture legs to spread their scent before I let them loose in the area. Both of these guys like to “sniff” their surroundings and this seems to work well for them. I use toys they like but they don’t use litter or consume anything during traveling time, only when we arrive. Best wishes to everyone traveling with one, or more, cats. May your trips be quiet and your arrivals and departures safe. I’m currently planning a road trip across North America in a motorhome, and I’m taking my 3 cats with me. At first I thought I was insane but after extensive research is appears RVing and road trips with cats is totally possible and enjoyable! I find that playing classical music — and especially harp — has an amazing ability to calm my cats during travel! Thanks for sharing so much travel info! Like another reader, our cat won’t drink or eat or use the litter box while the car is moving. She will sometimes eat a bit when we stop for a break, but not always. Our first road trip was extremely traumatic due to my good intentions but inherent idiocy. We had been in the car about 6 1/2 hours & I felt bad about my baby being confined in such a small space for so long. I attached a leash to her collar and set her down by a tree in the parking lot of a restaurant. She freaked out, and as she pulled and tugged, her collar slipped off her neck and she ran under another car. Parked close to the street. And even climbed up under the hood…. I cannot describe my level of panic, thinking she’d run away, tagless, and I’d never see her again. Fortunately we were able to retrieve her, but lesson learned – I never let her out of the car now unless it’s to carry her, in her carrier, into a building. I’ll also share that the one time we stayed at a hotel, my cat was so freaked out by all the smells in the room that she spent the night huddled between the headboard and the wall. If I even need to stay with her in a hotel again, I think I will start her in the bathroom and see how she does. It might be best for her to stay in her carrier the whole time. She did seem relieved the next morning when we finally lured her out from behind the bed and immediately placed her in her carrier. If it helps, I’ll say that ours is an *only cat* and came from a home where another cat was bullying her. Finally, I’d like to share that after much trial and error, I finally found an AWESOME CAT SAFETY COLLAR. And no, I’m in no way associated with these companies. I just want other cats to be as protected and comfortable as mine. So, the collar itself is a Beastie Band. They are stretchy, very soft, easy to trim and re-size, and have super strong Velcro closures. (Plus they come in the cutest patterns ever!) I myself order them from Boomerang Tags, because B.T. make ID tags that slide onto the beastie bands, and my cat hates hanging tags. Both the tags and the collars hold up great. Because my cat is indoor/outdoor, she must have ID on her. I tried so many other collars, but either she quickly released the safety catch, or they were scratchy, or the tags bothered her, or they didn’t stretch and I was concerned about possible choking… The combination of the Beastie Band with the Boomerang Tag has been a godsend. We have happily used them for about 3 years now. I ordered two sets of tags and collars because my kitty used to regularly lose her old collars, but only once has she returned home without her beastie band (and a neighbor found and returned it!) Hope this helps! We traveled a lot for my husbands work by car and took our 3 cats at that time. They always puked the first day on the road,slept and refused food until evening at a motel. The more they traveled the better they got. They were usually ok the second day of our travels and each day after. If there was a month or more between travels, then they would puke again on the first day. A few years ago we moved with more than three cats and we used a regular metal dog crate and also a pop up crate that could hold more than two cats which had frabric netting . My Siamese chewed his way out and hid in some of our pack items and u thought we somehow lost him along the way. We had to stop on our road trip and buy another metal crate. Took three days to move and that cat cried the whole time. Was not a good trip. Taking multiple cats into a motel room and out every morning is a chore but we were moving. One thing people should do is check the floors of motels or hotel rooms for foreign objects that the cats could ingest. In a motel room in Souhern Illionis I found rat poison, that was put out behind the headboard on the floor. I thought this was totally irresponsible for a pet friendly motel. I am so glad I made a habit to always look everywhere before releasing my cats into the rooms. The underside of the beds cats can get into and sometimes you find wierd stuff inside those boxes that the mattresses set on. I had a few cats hell bent on climbing into a any space they could including climbing on a coat rack with a shelf on it to start to get into a drop ceiling. Traveling can get a bit adenturesome in some motel rooms. Just beware there can be dangers in the rooms you stay in. Like a cabinet style sink which had a hole in th back of it that opened into the buildings wall! Check everything even if it sounds irreseasonable, voice of experience here. Take lots of water,paper towels and plastic grocery bags. I also took toys, that they did play with after they settled down in the room. We only left our cats in the car if it was for very early morning breakfast stops and not scorching hot out with covers over their crates and window cracked . When we did rest stops one of us always stayed in car with motor running and cats crate doors shut during stops. They also can get up under your dashboard of your car. Just have to be more mindful with cats. They are a bit too creative when finding away to escape. Darma, I so appreciate your voice of experience here! My cats wanted no part of food/water/litter while in the car. I did make each day’s trip probably shorter than most people would, for my sanity as much as theirs. I used http://www.petswelcome.com/, La Quintas are great and we even got to stay at a Hampton (my favorite hotel in general)! And they loved the hotel experience, I guess they are not upset by new environments because they loved all of the new smells in the hotels. Mine might be odd but they liked having their carriers up on something so they could see out the windows. YouTube celebrity kitties Cole & Marmalade just made a cross country trip with their humans, from Oceanside CA to southern Illinois – you might see if they have any tips to share. I will check out Cole & Marmalade, thank you!